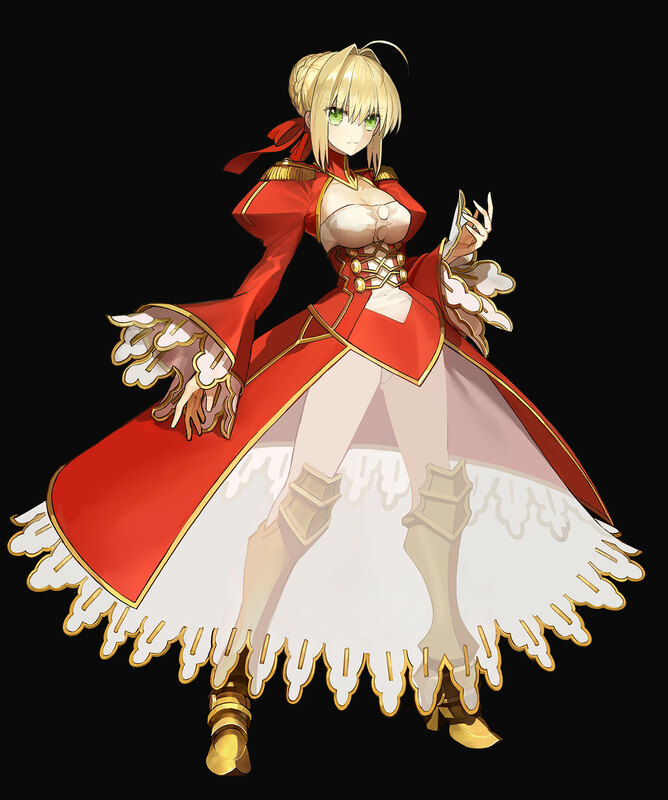 This self-styled swordswoman, in her vivid crimson dress, calls herself a "King." Full of bold confidence, she never hesitates to proclaim her peerless skill or her universal artistic genius. 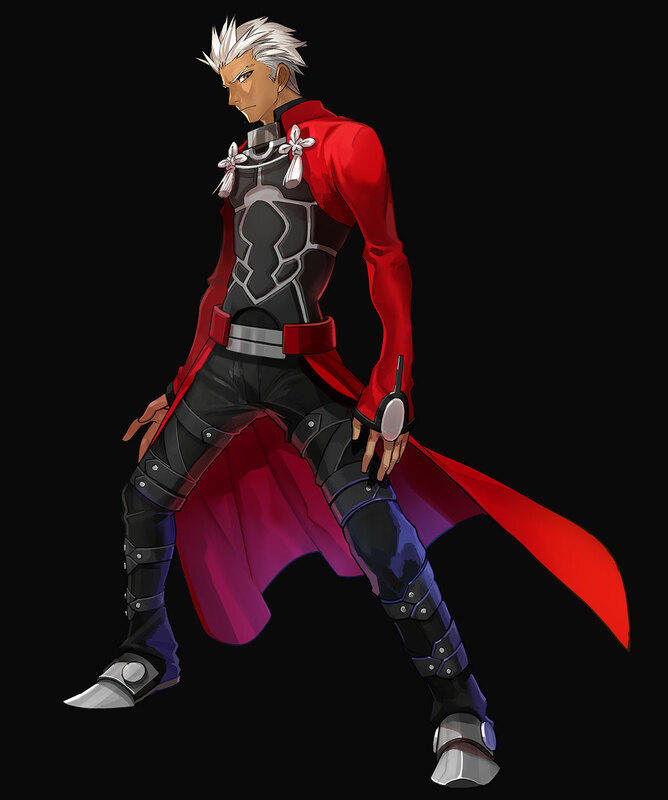 Wears his trademark red coat over iron buckles. He appears to be cold and cynical, but he genuinely cares underneath. 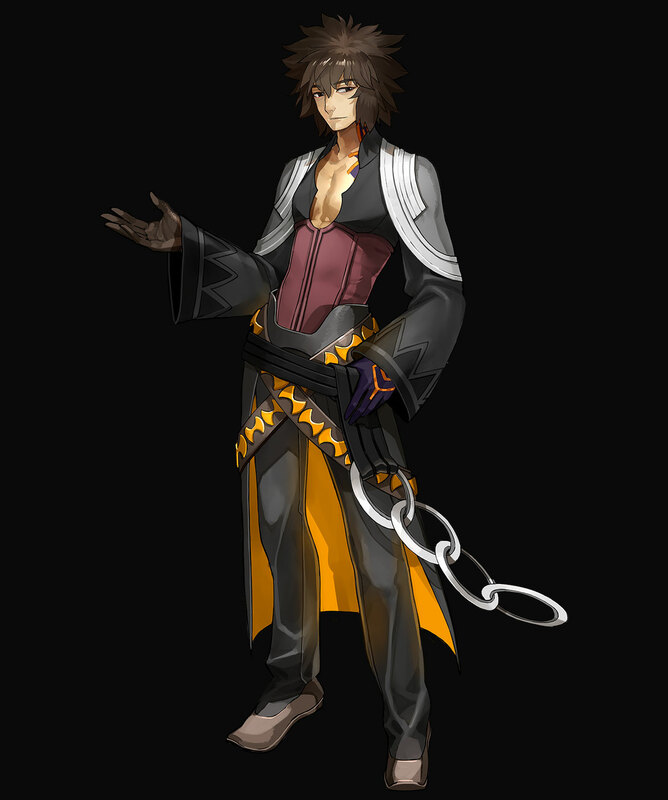 Despite being an Archer-class Servant, he often favors hand-to-hand combat. While not exceptionally powerful in any one field, he makes an excellent all-purpose handyman. The Knight of the Sun, a legendary champion of King Arthur's Round Table. 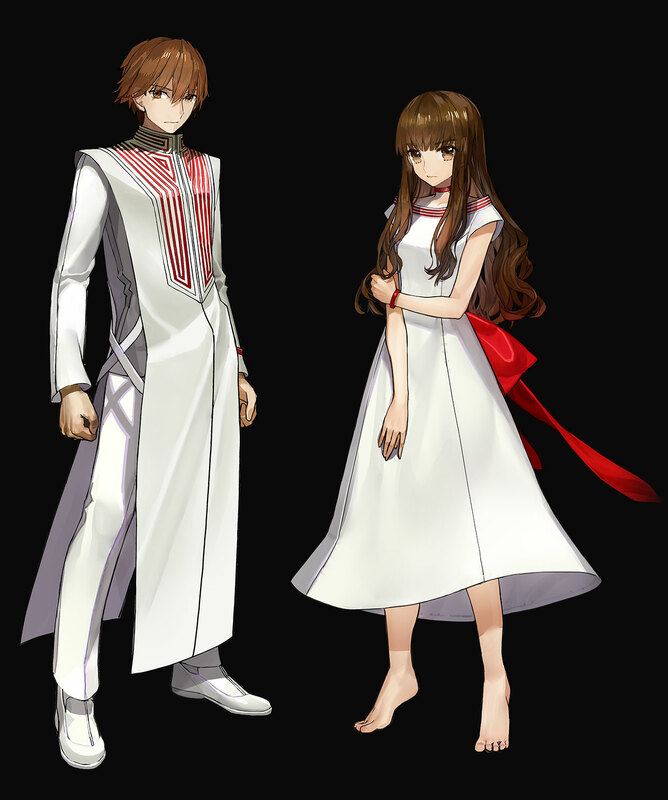 Although he now serves Nero, since she possesses the Royal Authority, he has not pledged his loyalty to her, and continues to search for a true King to serve. 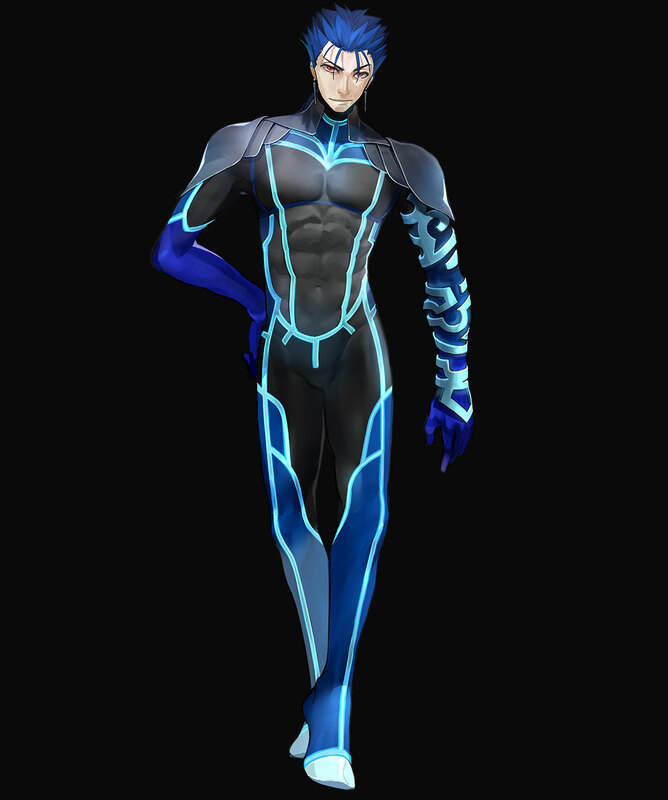 The Irish Son of Light, so called because his father is the Light God Lugh. 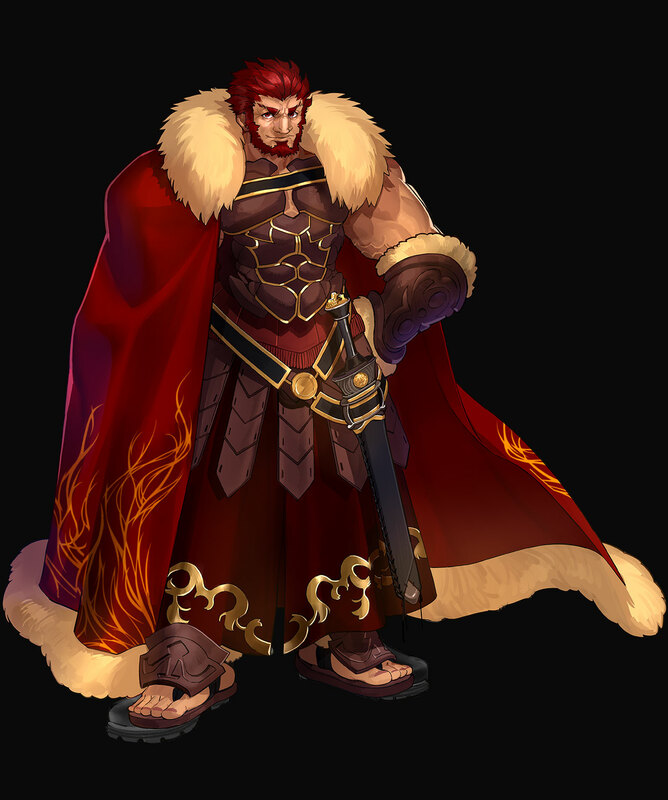 Despite his fearsome history with certain other Servants and Masters, he's ready to serve Nero and leave the past where it lies...for the most part. An Assassin-class Servant known for his first strike, which needs no second strike. A renowned martial artist, he was celebrated in life as "God's Spear." Known for his rigorous discipline, his hunger for worthy opponents, and his distinctive laugh. With her cute fangs and her trademark fox ears, Tamamo fancies herself a royal beauty. In legends, her malevolent spirit possessed various high-ranking courtesans, using them to corrupt the rulers they fawned over. Despite her history, Tamamo maintains that she only wants to be the perfect wife for her ideal Master. 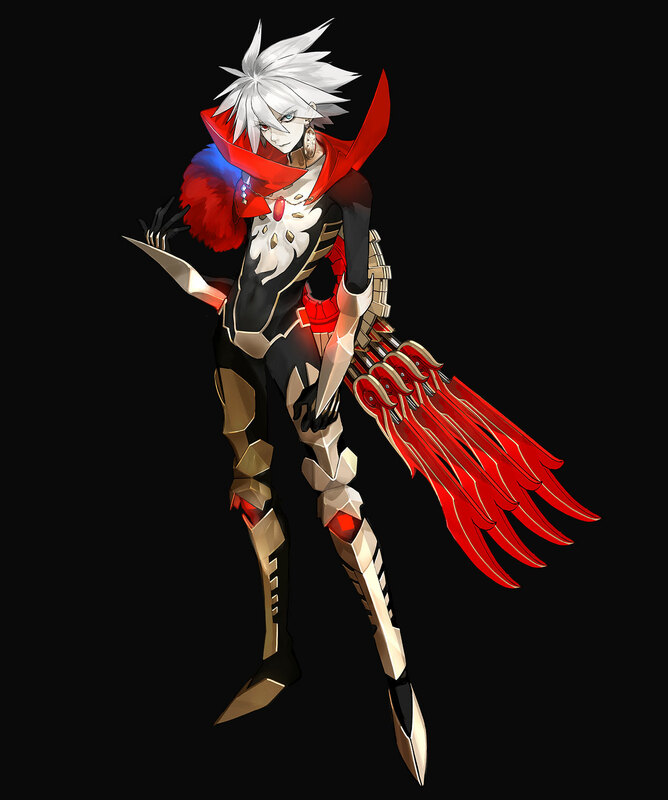 In Indian mythology, Karna is the son of the Sun God. He wields immense power, but is also known for his thoughtful, charitable nature. With his soft-spoken, matter-of-fact demeanor, he can seem aloof and unapproachable. In truth, he's socially awkward, and wishes he were better at communication with others. In her day, Elizabeth Bathory was rumored to have been a vampire, as she drained young maidens' blood to sustain her own beauty. Now, summoned as an Anti-Heroic Spirit, she embarks on a path of atonement, redemption, and...J-pop. Reasoning that her music can stay beautiful forever even if she might not, she's set out to conquer the stage, despite her catastrophic lack of talent. 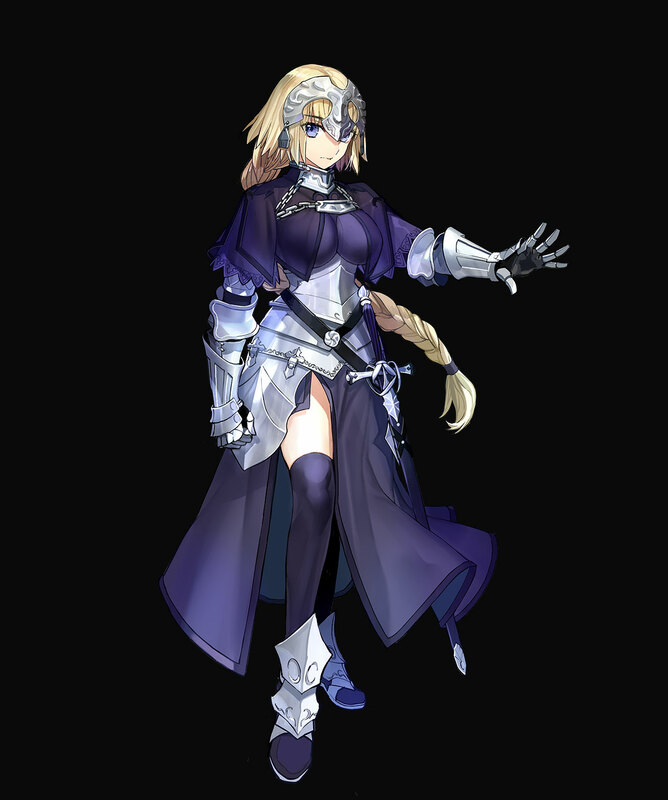 A Lancer-class Servant, she wields her lance as a mic, while swinging her draconic tail — a sign of her family heritage — behind her. 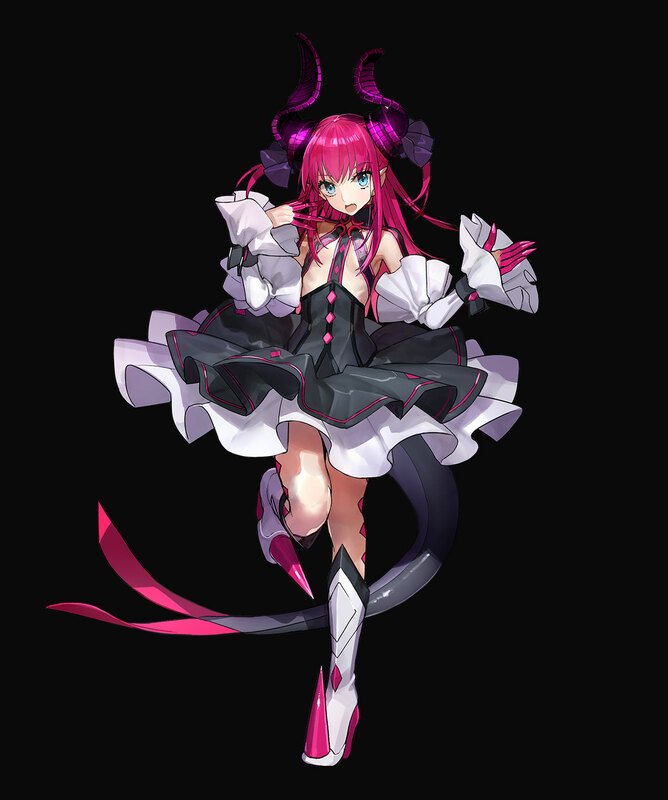 She is not a proper Heroic Spirit, but categorized more as an Anti-Hero, an enemy of mankind. 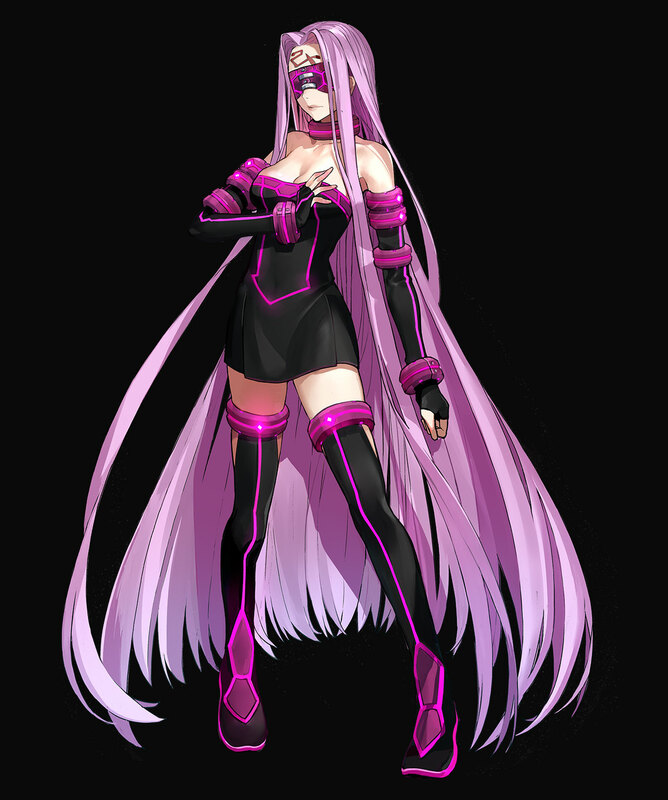 Medusa is the youngest of the three Gorgon sisters who appear in Greek Mythology, and was originally a native Earth goddess. Thanks to the plots of the Olympic gods and the fanaticism of humans, she and her sisters were chased to an island, where Medusa was eventually hunted down and changed into a monster. She is infamous for her ability to turn any who meet her gaze into stone. 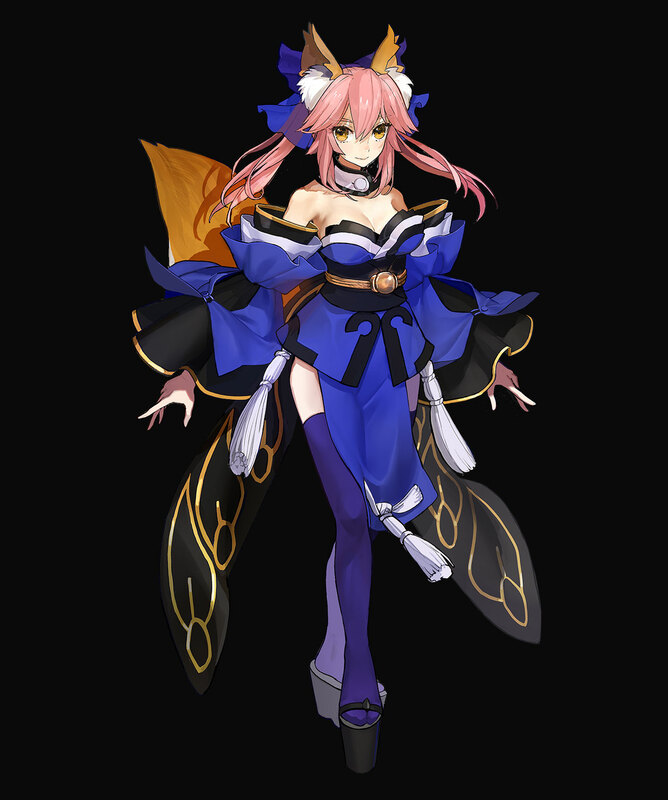 Although a Solo Servant, she views the chaos on SE.RA.PH as a problem, and joins Tamamo's army to ensure that the enjoyment she will have while summoned is not interrupted. 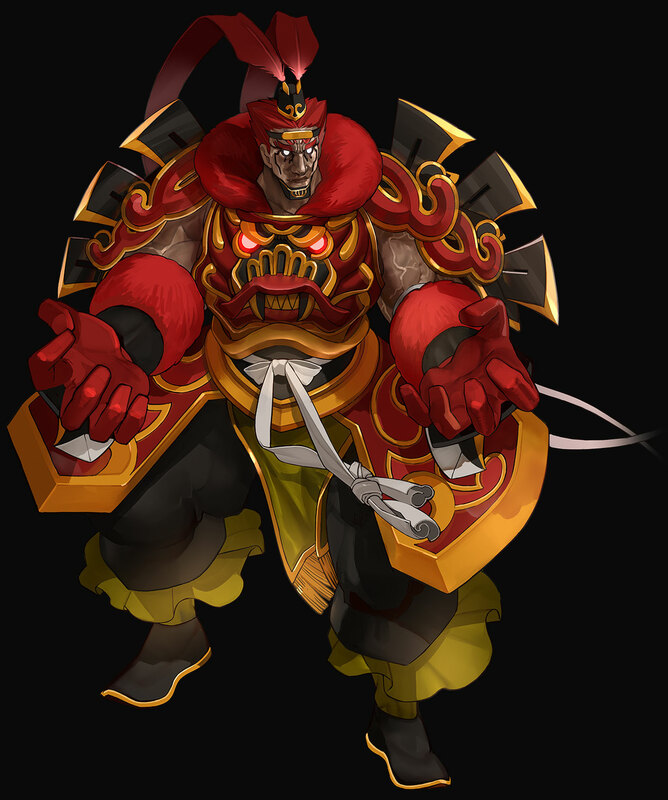 Lu Bu Fengxian was a traitorous general who appeared in the Romance of the Three Kingdoms and was known by many names, including "Unequaled on Heaven and Earth," the "Flying General," and "The Beast Among Men." 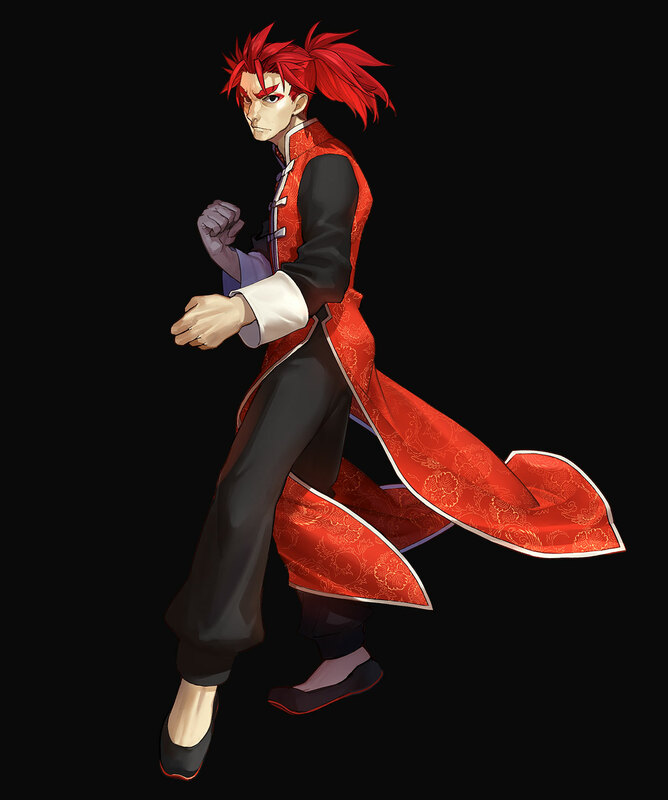 Known as one of the supreme warlords in the world of the Three Kingdoms, he was a "war god who would serve no man," and repeatedly betrayed his allies. 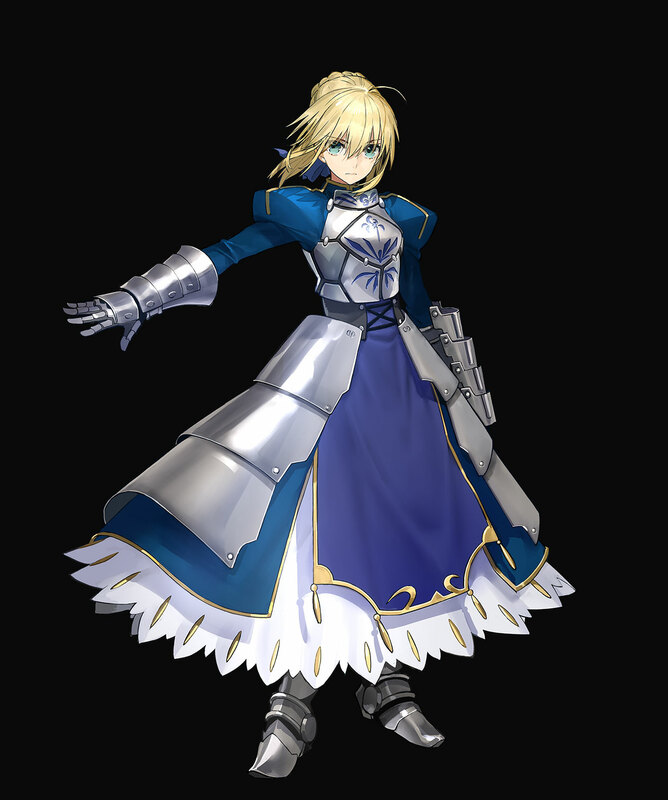 A fearsome sword-maiden in white, with the highest rank of Saber-class abilities. 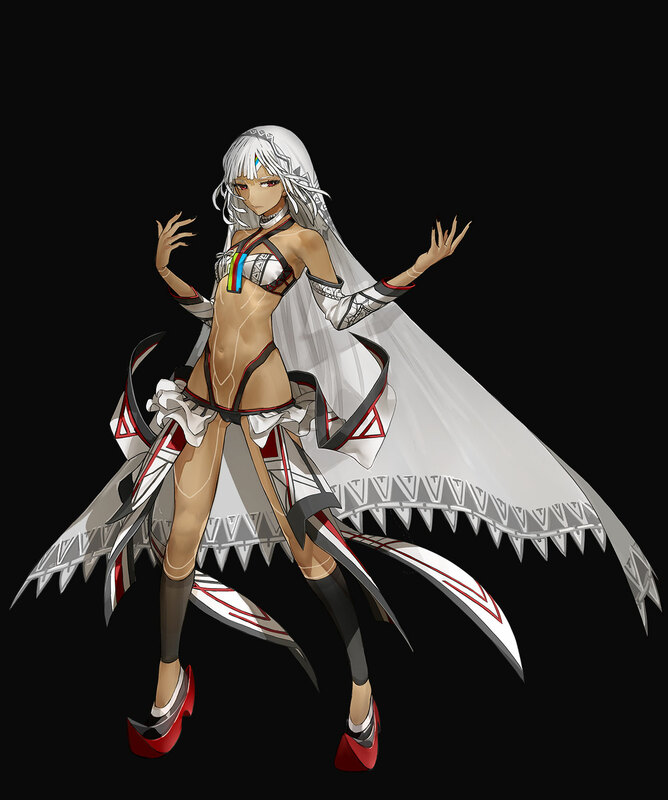 She calls herself Altera, but her connection to mythology and/or history remain unknown. This Mesopotamian ruler calls himself the "King of Heroes," as well as "Mankind's Oldest Hero." With the blood of a god in his veins, he ruled over the people of strong-walled Uruk. His treasury is a sight to behold, and in his greed for more treasure, he will battle any other Hero to the death. Known among his peers as the "King of Conquerors," this Macedonian ruler was still a young man when he conquered most of the known world. A hearty and ferocious warrior. She is world-renowned as the "Holy Maiden" and the savior of France in the Hundred Years' War. Although the end of her story was far too tragic and cruel, she does not curse her fate, but accepts it. Now reborn as a Heroic Spirit, she fights on with a soul of steel, in the name of fairness for all. 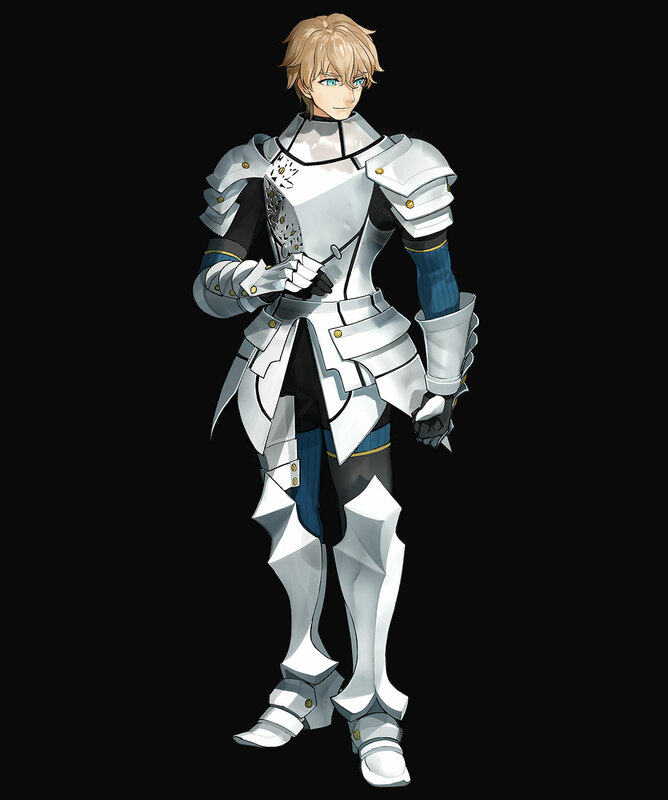 The reincarnation of none other than King Arthur, chosen by signs and portents to be ruler and protector of Britain. In addition to her already magnificent physical skills, she carries the Holy Sword Excalibur. One of history's greatest geniuses. A mathematician ahead of his time. 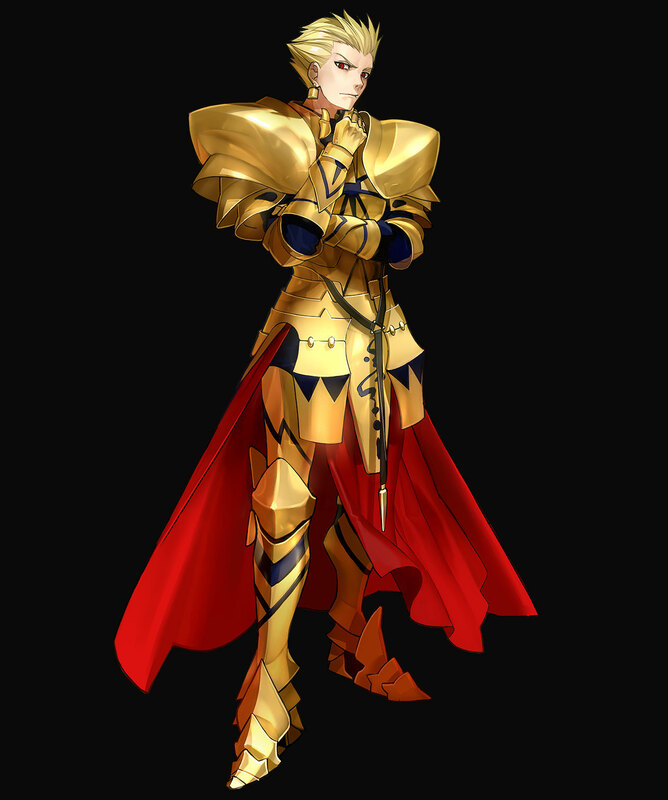 He did not participate in the Holy Grail War. Instead, he worked as a system admin for SE.RA.PH. The Moon Cell gave him that position, trusting in his technical aptitude. He is a rational thinker, eschewing subjectivity wherever possible, and tries to guide the people and events around him into their objectively optimal positions. The victor of the Holy Grail War.